This hotel is the only one in Playa Carrillo with ocean views like these. This is not a turn key business but the infrastructure and licensing are in place for someone to build a casino, marina, and go 5 stories high with condos or vacation rentals. There are 26 cabins in need of minor renovations before they can start generating income. 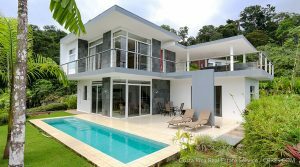 Beautiful home with a modern design set in a tropical environment. Incredible whitewater ocean views looking south down the Bahia Ballena coastline. 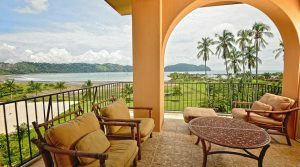 Great location close to the beach and downtown Uvita. Selling furnished and turnkey. 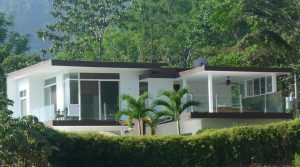 Perfect property to use as a vacation rental or a personal residence. 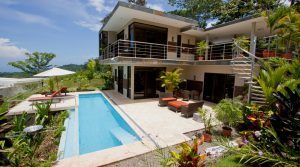 Furnished villa located between Dominical and Uvita with gorgeous ocean views highlighted by the Whales Tail at Marino Ballena National Park. 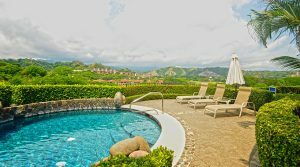 This turnkey offering is perfect for any buyer seeking an income generating vacation rental home in Costa Rica or a personal residence located minutes from the beach and other attractions. 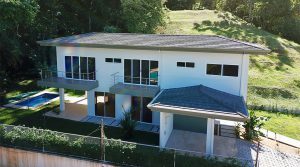 Modern villa in Uvita highlighted by jaw-dropping ocean views of the Whales Tail at Marino Ballena National Park. 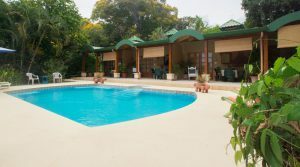 Enjoy poolside entertaining or relax on the luxurious upstairs lounge perched in the treetops. This turnkey offering is perfect for a buyer looking for an income-producing rental or a personal residence located minutes from the beach. 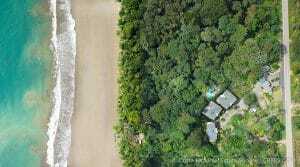 Modern 3 bedroom / 2.5 bathroom home with a “walk to the beach” location across from the shores of Punta Achiote and Playa Hermosa. A short 5-minute drive will take you to shopping & dining in downtown Uvita. Highly marketable rental property for surfers and tourists looking for a convenient location by the beach. 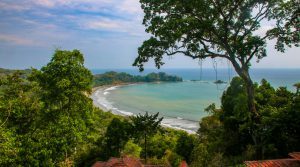 Behind the gates at Playa Hermosa Villas you can find a beautiful, never lived in home walking distance to the beach with ocean views from every bedroom. This 2 story home has 3 bedrooms, 2.5 bathrooms, a private pool, and stunning wood details in every room of the house. The asking price includes a basic furnishing and appliance package. 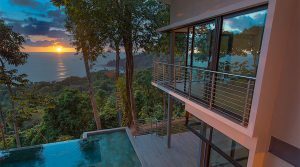 The first all inclusive luxury development south of Manuel Antonio. Beachfront location with resort style amenities. Incredible location with private trail to the beach! NOTE: These residences are excellent hassle free vacation rentals and as expected, Phase 1 has practically Sold Out with only 1 unit remaining on the market. Luxury single-family homes and duplexes with prices starting at $789,000. 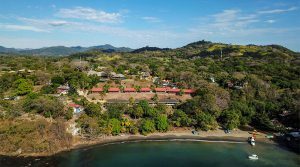 Gated community nestled in the rainforest with private nature trails leading to the beach and a secluded waterfall. Ownership includes many benefits and resort amenities. Listing includes updated construction photos of the project.